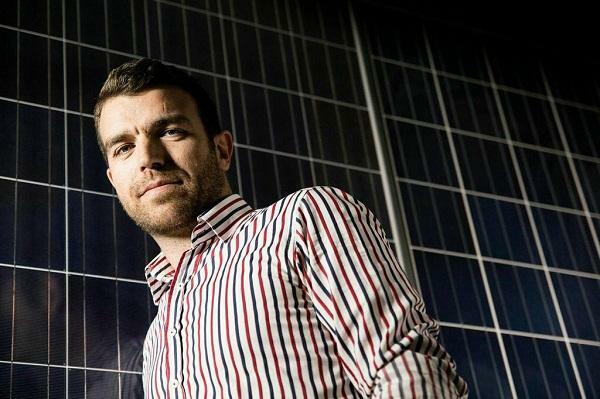 Smart Commercial Solar founder Huon Hoogesteger. The enterprise pays for the generated solar energy at a fixed price. After a period of up to 10 years, the enterprise owns the solar system outright and can generate its own power for “virtually no cost", according to Smart Commercial Solar founder Huon Hoogesteger. “Since the [solar panel] installation has a guaranteed life of 25 years, this translates to two decades of power generation, usually 30 to 40 per cent of the enterprises’ power requirements,” he said in a statement. Enterprises receive a bill and only pay for the power the solar system generates. "That is why we need to monitor the systems closely to ensure they are performing to their full potential in order to ensure Smart Commercial Solar's return on investment [ROI]," he said. The startup is targeting enterprises in both the private sector and government. According to Hoogesteger, enterprises with stable revenue streams are increasingly looking at ways to reduce electricity costs without incurring capital expenditure (CAPEX). "We are on a mission to deliver solar that makes market sense,” he said. So far, the startup has signed up companies in the hospitality and food services industry in Australia. The solar power is being used to run computers and refrigeration. Foodservice Central representative ,Belinda Peterson, said it had multiple sites running food storage cooling facilities and wanted to reduce its energy costs. "The [solar power] installation provides a significant portion of our energy today. We have really appreciated the close monitoring of the system by the Smart Commercial Solar team and the transparency/responsiveness of their ongoing service," she said in a statement. "Without this approach, we probably wouldn't have considered solar for our business."